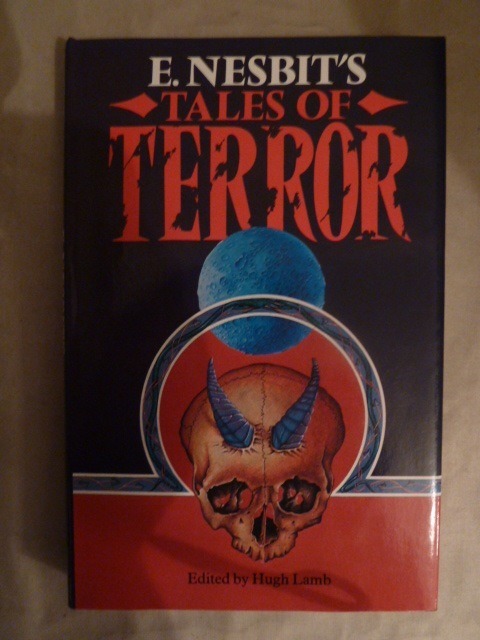 In the excellent anthology 'The Supernatural Omnibus' edited by Montague Summers (which I acquired at an early age) are to be found two ghost stories under the name E Nesbit. These are 'Man Size in Marble' and 'John Charrington's Wedding'. 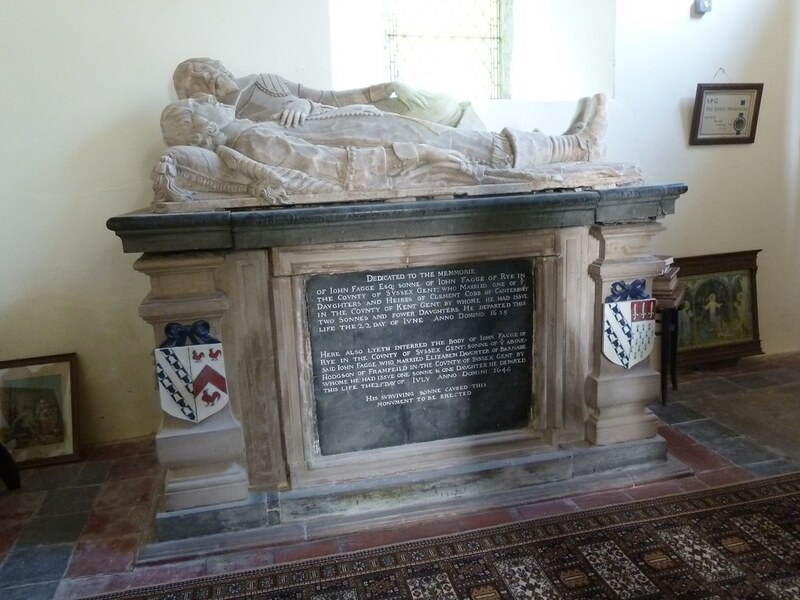 In the former, the recumbent effigies of two knights rise from their tomb in a lonely church on All Saints' Eve and terrify to death the story's heroine Laura, who is found with the alabaster finger of one of the knights clutched in her hand. (Needless to say, the finger is subsequently found to be missing from the knight's effigy.) In the latter, John Charrington, determined to claim his bride on their wedding day, keeps his appointment even though he was killed in an accident some hours before the wedding. The strange nature of the groom at the wedding service is chillingly described; after the service the couple depart in their wedding carriage. The bride, of course, is subsequently found dead from shock and fright. Strange that such harrowing stories came from the pen of Edith Nesbit, much better known as an author of childrens' books, including the much filmed and televised 'The Railway Children'. 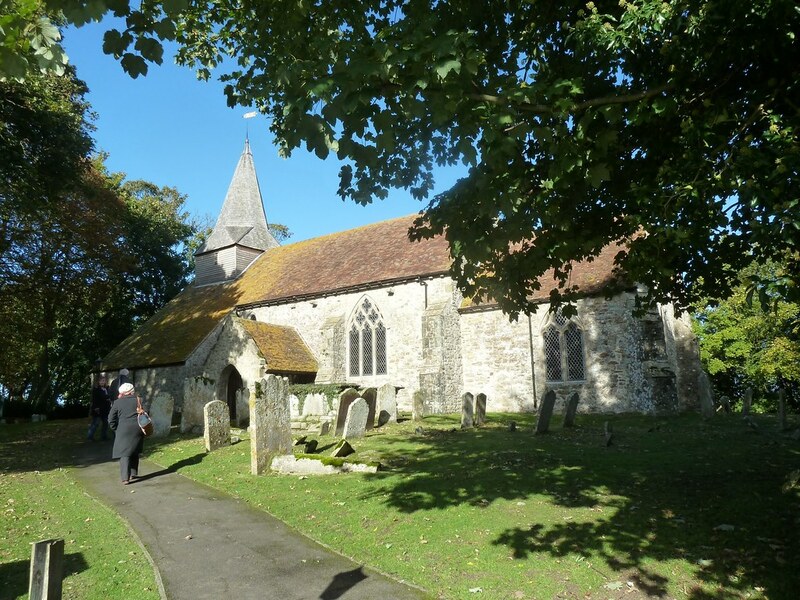 I was reminded of these stories on a recent short trip to Romney Marsh, that strange part of Kent where sea and land merge across lonely shingle beaches and isolated churches cling to islands of pasture land slightly elevated above the surrounding flats. 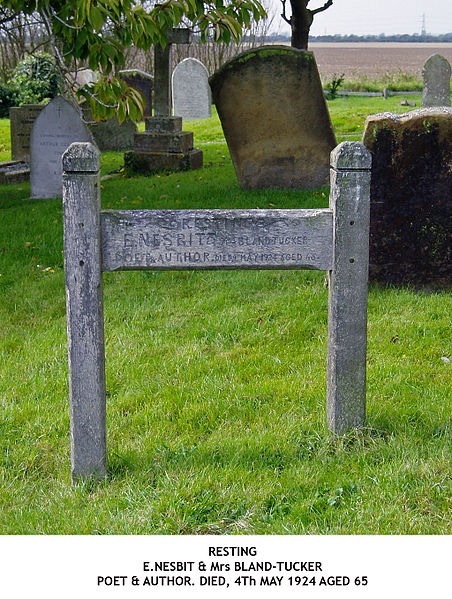 It was at one such church, St Mary in the Marsh, that Edith Nesbit forced her way into our holiday, for here she is buried; there is an inscription to her in the church and outside, over her grave, a wooden memorial fashioned by her husband. She lived the latter part of her life in nearby St Mary's Bay. But it is in nearby Brenzett church where lie the knights who inspired her most famous ghost story. In this church two John Fagges (father and son) lie side by side, dying in 1639 and 1646 respectively. 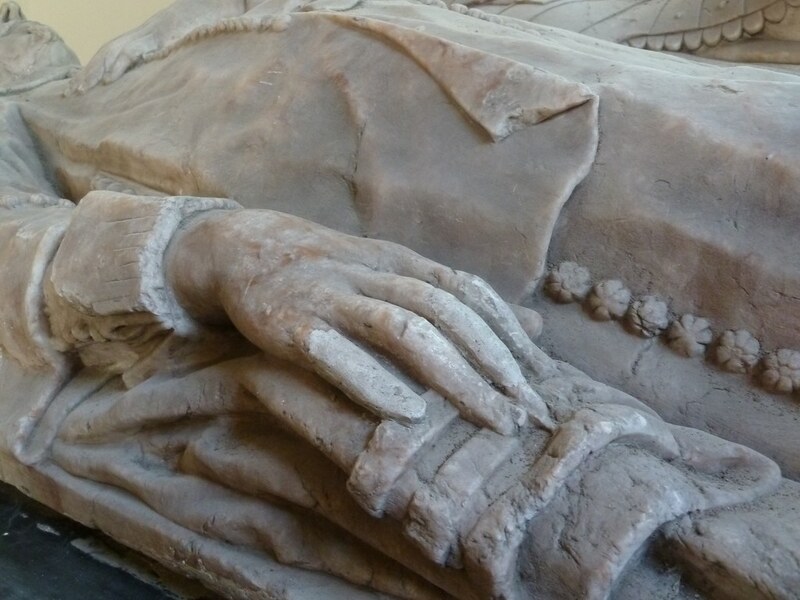 The little finger of the right hand of the front figure has been clearly repaired and it was this feature that Edith Nesbit captured in her story where the terrified Laura breaks off the knight's finger in her struggle. 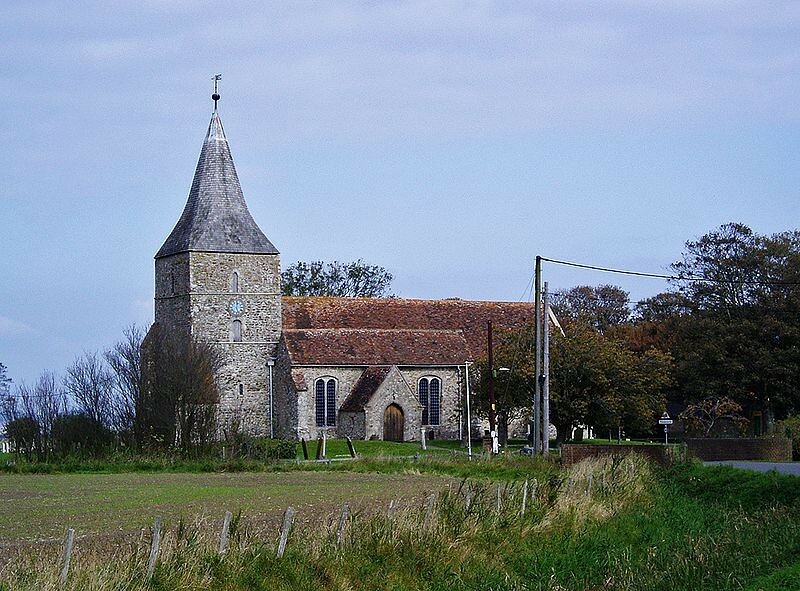 Brenzett is the setting for the story and Edith Nesbit captures something of the atmosphere of remote Romney Marsh churches. Laura's housekeeper in the story is called Mrs Dorman. When we first visited Brenzett the church was locked. We returned a couple of days later to find it opened for cleaning/flower arranging. This was being carried out by a Mrs Dorman, who was pleased to tell us that she shared a name with the housekeeper of the story. Or maybe she was just another of Edith Nesbit's ghosts sent to allow us to disturb the slumbers of the sleeping knights, who, at first sight were safely lying on their marble bed. But I would not wish to return on All Saints' Eve. Edith Nesbit was not a prolific writer of ghost stories. Hugh Lamb edited a slim volume, published by Methuen in 1983, containing seven stories. Perhaps the most impressive of the other stories is 'The Violet Car', in which a car takes supernatural revenge on a man who had earlier caused it to be driven off the edge of a cliff. By a strange coincidence BBC Radio are broadcasting a series of Edith Nesbit's ghost stories in the week beginning October 29th, spanning All Saints' Eve. Let's hope the recumbent knights are not listening.